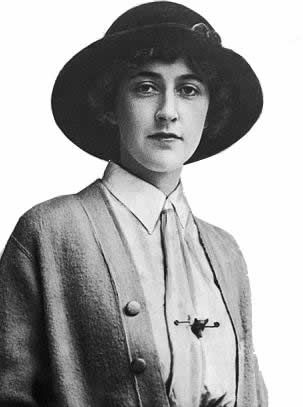 When police found the car of 36-year-old Agatha Christie hidden in the clump of bushes a dozen or so miles away from her Berkshire home, on the morning of the 4th December 1926, they suspected first suicide and then murder. 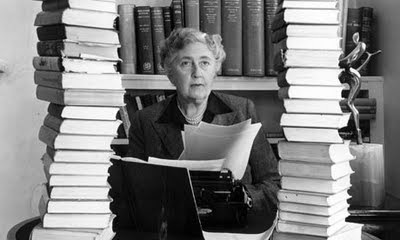 But while it seemed that prime suspect Archibald Christie, Agatha's husband, might stand to gain from the death of his wife, he had a pretty solid alibi for the night of her disapperance. Where was he? At a week-end party in Surrey with his mistress, Nancy Neele. Just 11 days after Agatha disappeared, a waiter revealed her whereabouts - she had been hiding out in Swan Hydropathic Hotel (as the Old Swan was then called) in Harrogate, where she was registered as 'Mrs Teresa Neele' from Cape Town. Archibald originally claimed that his wife had lost her memory (no one believed his story, least of all the Surrey police who presented him with a bill for the cost of the search) and it wasn't until after the detective writer's death that the truth finally emerged. It seems the author had found out about his affair and concocted the plan to scare her husband into leaving his mistress. It didn't work - they were divorced two years later. In the end, Christie’s true success is as the disappearing author. Her disappearance in 1926 was an attempt to make time stand still for 11 days -- time enough for her to recompose her future life in the same way she composed her novels. Time did not stand still for others, of course, but it did for Christie. Having come to terms with her destiny she would go on to write books in which she would disappear in a clever weave of masks and magic tricks. All the great genre writers of popular literature have done this through the centuries, from fairytales to the modern horror film, with just as many of them intent on leading the reader astray as on instructing them on the right path. Christie’s mysteries are not inferior novels of limited psychological complexity; they belong in an entirely different literary tradition that has existed all along, parallel to the psychological tradition, and it doesn’t make any sense to compare one through the lenses of the other. Think the Bible rather than the Odyssey, the Gothic novel rather than Jane Austen, Alfred Hitchcock rather than Orson Welles.